I have no control over the weather. I have nothing left inside that allows me to appreciate snow. The quiet. The long evenings and dark mornings. The stark white fields and monochromatic skies. Stew, slippers, fire, snowshoes have lost their appeal, until next December. It is no good wishing for another season. Spring has yet to arrive. The trick is to be present but, also honor the readiness for change. In this, I can make it through the end of winter. And while I wait, I do the best I can to be ok with where I am. 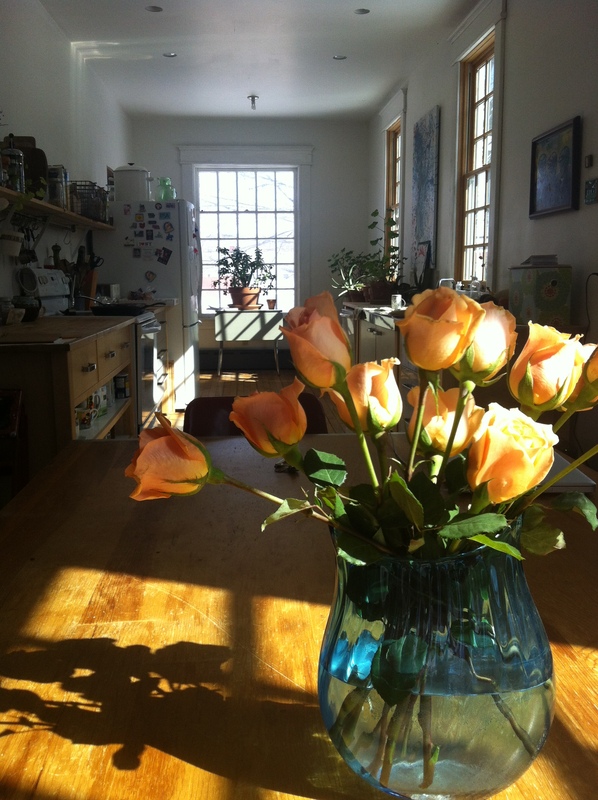 I make it spring inside. I sit in the window where the sun pours in, though it is still 20* outside and soak it in. In the afternoon when the temperatures get in the high 30’s I make sure to get outside and listen to the birdsong and feel the hope that it will be spring soon. 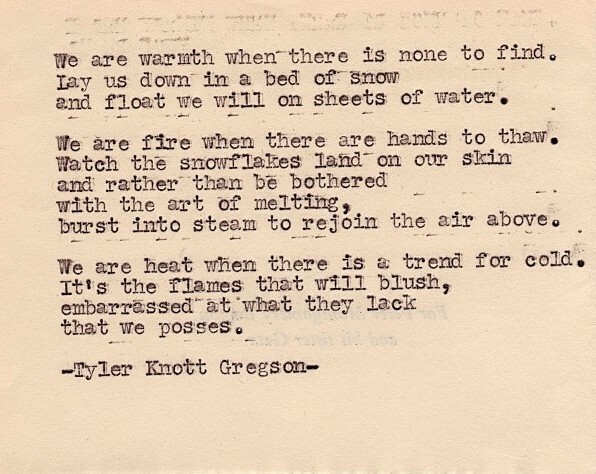 Until then, heat up with a winter poem by my new favorite poet, Tyler Knott Gregson. It’s the bits in the middle that get to the heart of it, the meat of the thing. Of course, birth and death are not to be discounted. They are dramatic events. Necessary events. But, life is in the middle, in between the bookends. The everyday. And boy, is it short, this life. And then, the topic of death kept circling, this week. It popped up in conversation with a client of mine who wants to promote her book on physician assisted suicide and end of life decisions. 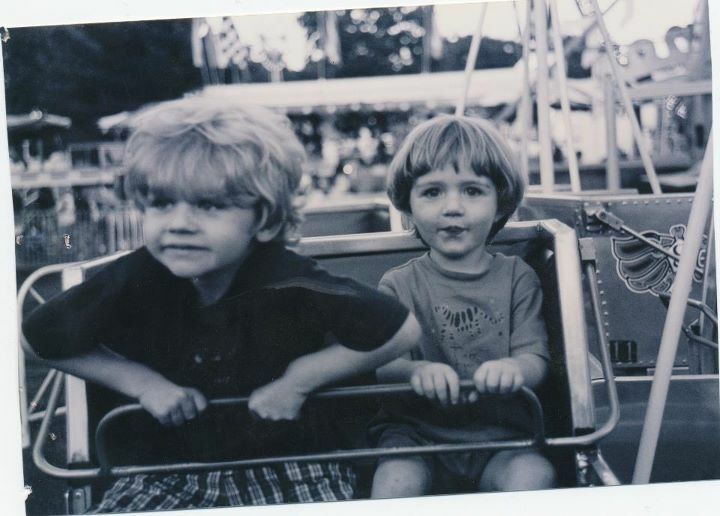 It came to me in a blog post about grief and loss. The radio show about death and dying, an actor reading chapters from David Eagleman’s Sum. My husband and his life-long obsession with his funeral playlist. What is that about? I took notice. It was too much coincidence, all this talk about dying. What’s all this noise about? To bring me back to present, to say, “no thanks, that’s not for us”? And the songs to play at his funeral? Well, maybe that is more like his soundtrack for our lives. And then, I remember standing outside the hospital with our newborn son, who is in his last few months of high school, now. We are taking him home. And I am not sure it is a good idea. The car seat is fiddly. The baby starts to fuss. He is so tiny and perfect. We start to bicker. Grandma says, “How do I know? It’s been 20 years. They didn’t have car seats when you were a baby.” I look back to the door of the hospital, sure that a nurse will appear to take our child back to safety. Nope, you’re definitely not ready. Somehow we got him into the car seat but, he was howling. Mom, Dad and Grandma settled in the car with screaming baby and not a clue. And then, we remember that music is supposed to soothe a crying a baby. We had read it in What to Expect When Expecting or recalled it from lamaze class. It doesn’t matter how it came to us. It came to us. The cassette, yes cassette, goes on. The baby quiets down. Queue track # 10 in the funeral playlist, Devo Going Under. And we begin for him and continue for us, the bit in the middle. Life. And really, it’s all on the fly.